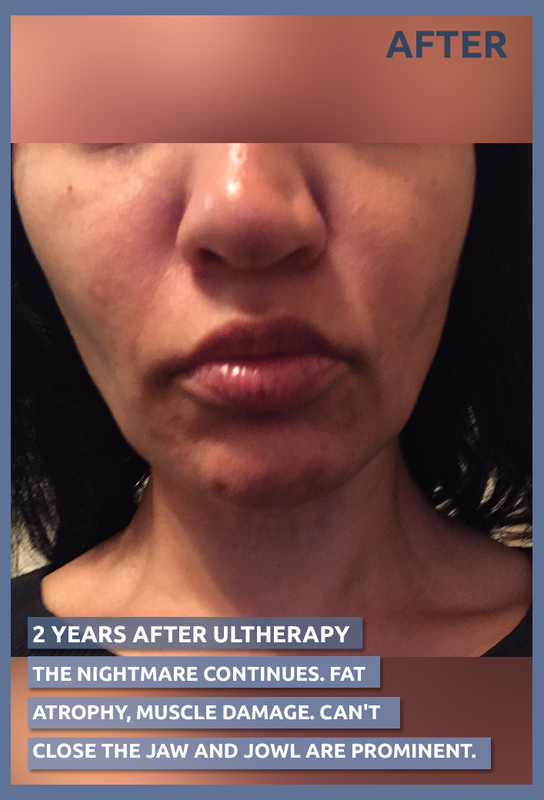 I later learned that Ultherapy is not FDA “approved” and like me, many other women I have personally met have aged prematurely after Ultherapy and have similar devastating and permanent medical issues. Contrary to giving me a “refreshed look,” the procedure melted my facial fat (without any weight loss) and accelerated the aging process. Here’s why: I had high focused ultrasound energy (heat) at 140 to 158 degrees Fahrenheit delivered to my full face and neck. Scientific tests have shown that burns start to take effect at 122 degrees Fahrenheit. A 2010 article in the Journal of Investigative Dermatology stated that, “Direct heat exposure to cells causes protein degradation and DNA damage, which can lead to cell death.” I wish I had known about the degree of heat that Ultherapy generates. Unfortunately I suffered far worse damage than simply facial fat and tissue loss. I suffered permanent damage to my eyes, my facial muscles and nerves, which led to a cascading effect of very painful medical issues related to the face, jaw and neck. I contacted Ultherapy and expressed my concerns to them. They said that they could only discuss the treatment or the Ulthera device with the doctor who purchased the device. The doctor and nurse claim to have followed the training provided by Ulthera and eventually stopped returning my calls. I no longer have my health and I can’t comprehend how there has been no accountability. 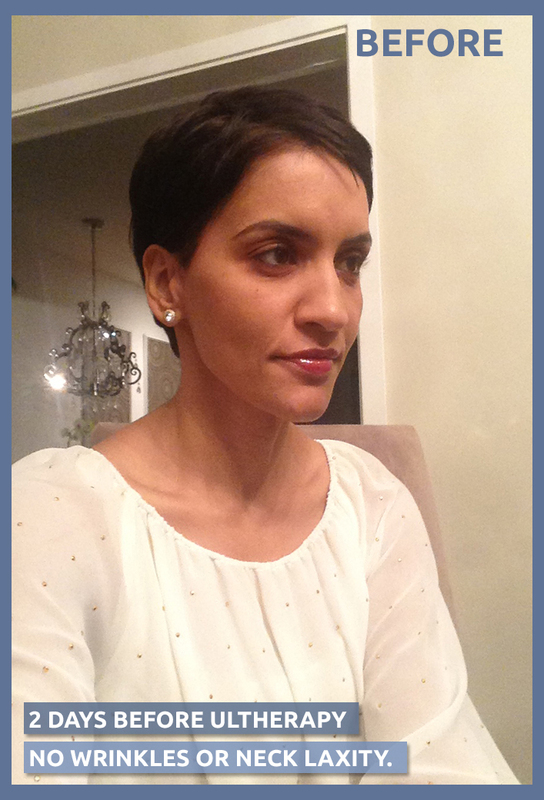 Prior to Ultherapy, I did not have any chronic medical or mental health concerns. I certainly didn’t have scar tissue under the skin of my entire face and neck and nor did I have chronic facial pain, neck pain, jaw pain and eye pain. Now I have all of that and I also have chronic depression due to a diminished quality of life. 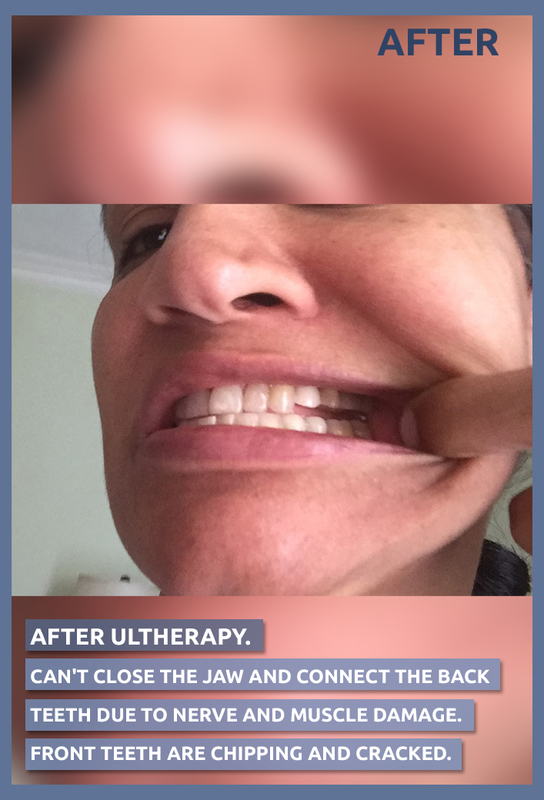 Within three months after receiving the Ultherapy treatment, I couldn’t close my mouth or connect my back teeth because of nerve and muscle damage. My cheeks were hollowing and I started biting the inside of my cheeks due to the loss of volume. I now have ridges on the inside of my cheeks and I have a raw/bitten tongue from the abnormal bite. I continue to suffer from extreme and untreatable TMJ and associated facial and neck pain. 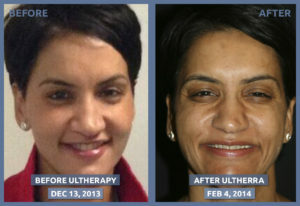 For the nearly five years since I had Ultherapy, I have consulted with, been examined, diagnosed, and treated by doctors at UCLA’s Oral Facial Pain Clinic, Neurologists, Physical Therapists, three TMJ specialized dentists, Ophthalmologists, Chiropractors and have received ongoing pain management treatments. Still, the pain is unrelenting and I’ve become very disheartened. 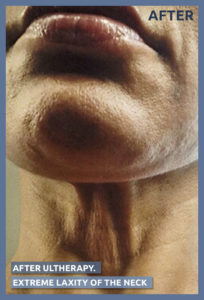 It is my opinion, with a high degree of medical probability, that the Ultherapy caused permanent neurological damage to the nerves of the face, resulting in changes to the facial muscles that has caused the teeth to move out of alignment, misalign the jaw, caused an uneven smile and has the patient in tears, experiencing unrelenting facial, head and neck pain, unable to work and has caused chipping of the front teeth as they are the only teeth occluding (making contact). I have permanent damage to my facial nerves and muscles. My facial muscles, teeth and jaw are out of alignment. 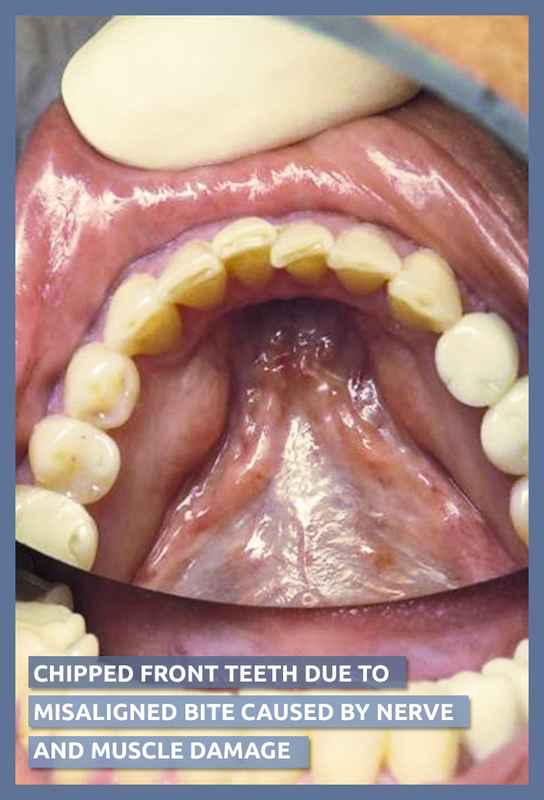 I need full reconstruction of my bite (all 28 teeth) to be able to close my jaw and connect my upper and lower teeth. My right side has more damage and as a result my jaw is crooked. I have facial numbness accompanied by pinpricks and intense burning sensations. I have developed very painful arthritis in my neck. I suffer from excruciating headaches, jaw, neck and shoulder pain. I have severe dry eyes and dry mouth, which is worse on my right side. The dry eyes requires plugs to be placed in my tear ducts. Dry eyes cause blurred vision and I’m at risk for corneal abrasion and other long-term adverse effects. I have ringing in my ears throughout most of the day. I have an obviously crooked smile, and haven’t wanted to smile for nearly five years. My electro-diagnostic nerve test results are shown on the right. This is an objective test that cannot be faked. It shows that I have less than 1/4th of normal function of the masseter muscle due to damage to the Cranial Nerve 5 (Trigeminal Nerve) and I showed very little pain response to 80 milliamps of power to my face which indicates sensory nerve damage. 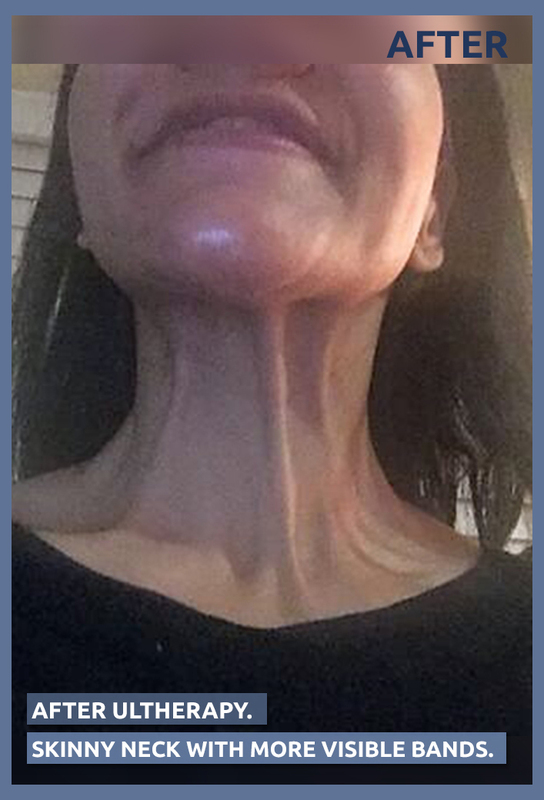 I have only 1/8th normal function of Facial Nerve 7, which affects the muscles around the eyes, the buccinator muscles, the lacrimal glands that affect tear production and the salivary glands, which affect saliva production. My photos and other documents speak volumes about the horrendous damage I have experienced because of Ultherapy. 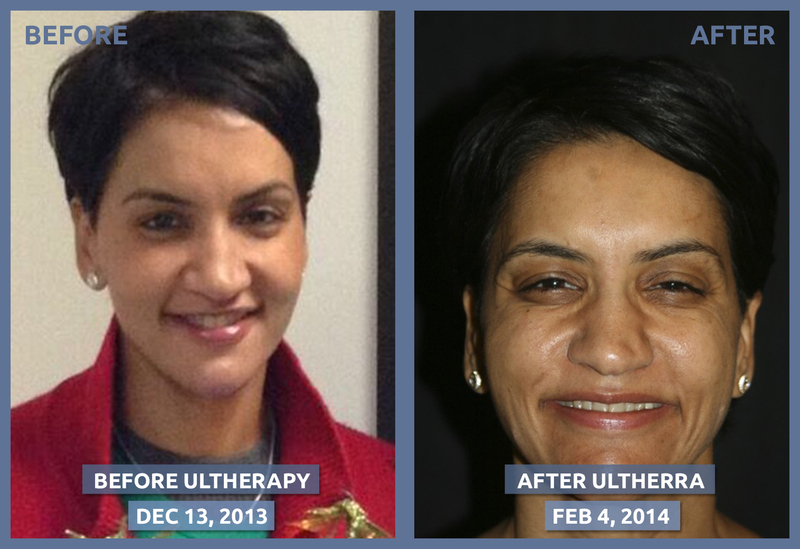 Ultherapy has cost me not only my health but also my career. I was not able to focus while in chronic pain. I no longer have my job because I took extensive time off for medical leave. I’ve now depleted my savings and had to cut back on costly pain management treatments. I struggle just to get through the day and I’m generally exhausted from fighting pain all day. I lie awake in bed from the pain and frequently wake up in the middle of the night with my jaw locked. The simplest things like eating and speaking have become very difficult. Needless to say, I’ve spent a considerable amount of money trying to restore function and facial volume. The damage is permanent and my future medical costs are daunting. I have no idea how much worse things are going to get. Here is what Miami-based plastic surgeon Dr. Rian A. Maercks posted on The Maercks Institute Facebook page. Be sure to read the thread to see how many people have been adversely affected! 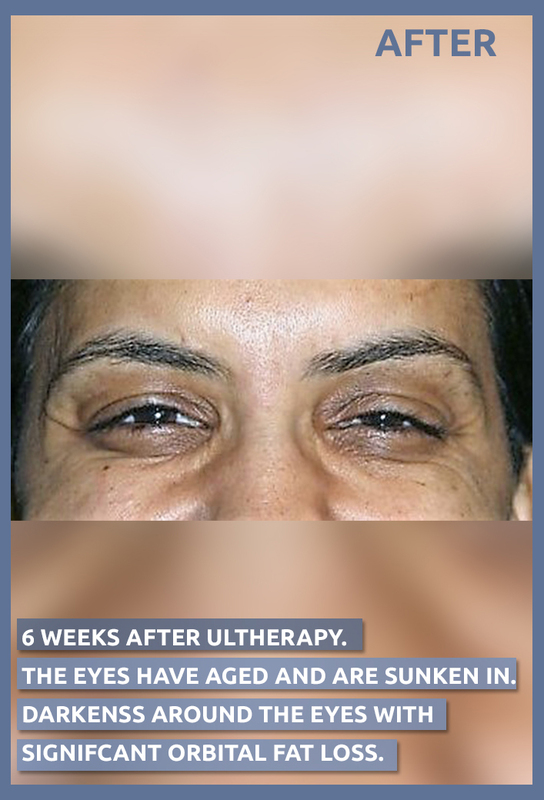 Ulthera is hyped as a face-lifting and neck tightening technology that is revolutionary because of its use of focused ultrasound that creates ridiculously high amounts of heat in tiny little spots underneath your skin. The thought is that a line of these spots will create a vector of pull or lift. Well, the results are difficult to appreciate and the long-term results are just sad. 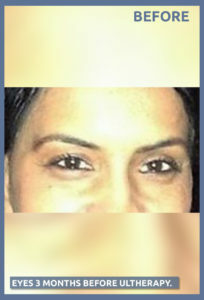 The heat deep in the face must dissapate and no matter how focal energy delivery is, healthy facial fat suffers. It has been around long enough to have many patients see the horrible eyelid retraction and fat atrophy that it can cause. 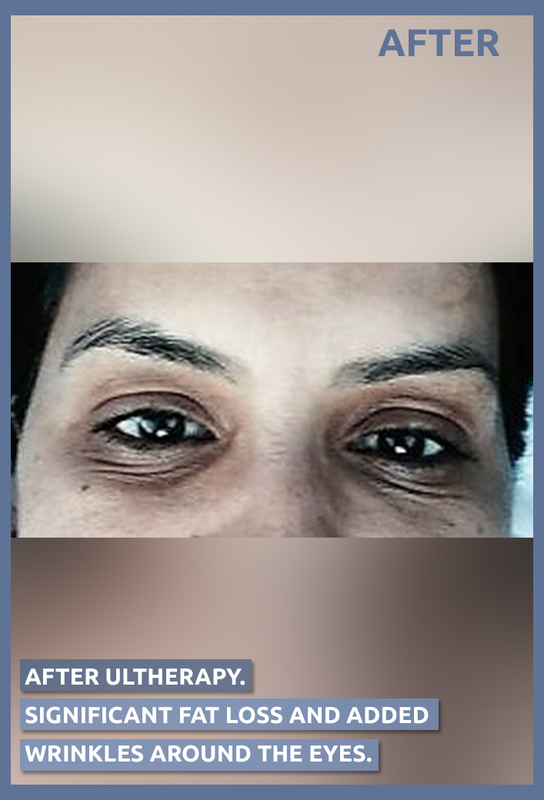 I see young patients in my practice, who otherwise would not need a surgical intervention, present with discontent after these treatments that need blepharoplasty and canthal suspension as well as fat grafting to restore them to reasonable aesthetics. Cutter Law: Ultherapy Lawsuit for nerve damage and permanent scarring. Unlawfully creates an impression of FDA approval and endorsement as to the safety and efficacy of Ultherapy in its marketing to consumers. 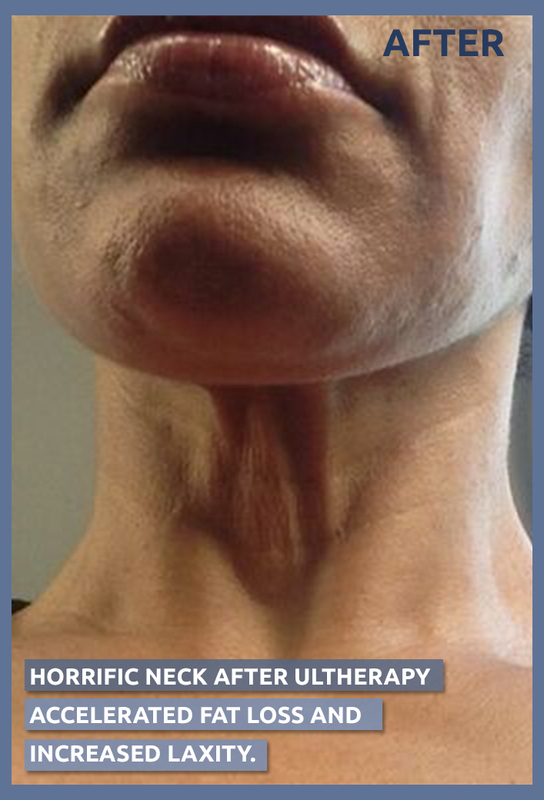 “I received ultherapy on my face and neck. Was told it was non-invasive heated ultrasound to lift tighten and tone. It’s main thing is to stimulate collagen. I was told only side effects could be mild discomfort and possibly not a noticeable difference. Results are supposed to show 3-6 month. 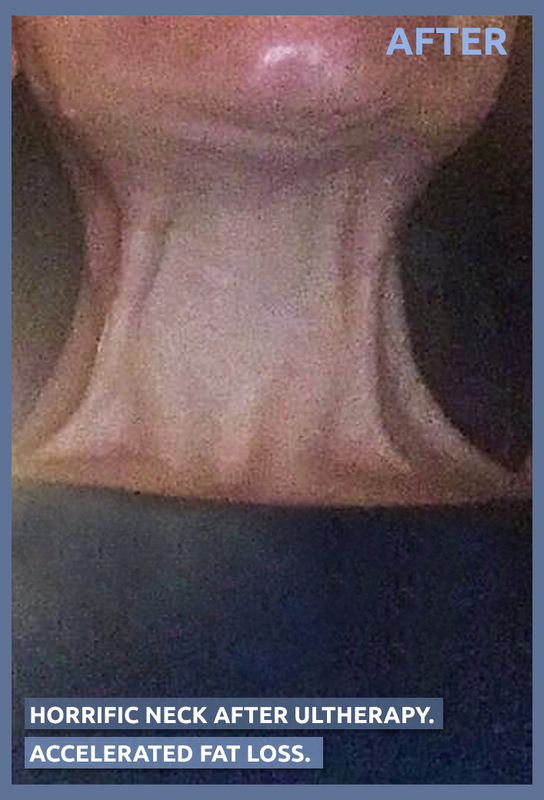 At 2 months I noticed changes, by 4 months my face had been depleted of fat, and I’m left with deep hollows and nerve damage. I was told it doesn’t touch your fat layer. I’ve since discovered it can, and heated ultrasound is actually used to deplete fat and destroy cells in other situations. I was also told it was FDA approved, but later learned it is not for the face. 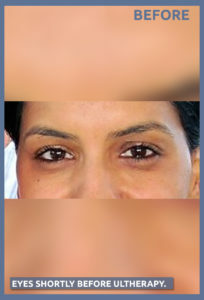 It is advertised for entire face with no warning of nerve damage and fat loss. I’m physically and emotionally damaged. I’m scared of what else it’s done that can’t be seen as I have tugging, vibrating and aching feelings in face. I’ve been to doctors multiple times and have been told I have nerve damage and am seeing a neurologist next week”. If you have any questions for me, please feel free to send me a message.